Following up from our recent article What Is Retargeting, we just found this infographic by Quicksprout that goes over Remarketing and Retargeting techniques and offers a few tips. Take particular notice of the sections in the infographic called ‘Tips For Your Remarketing Lists’ and ‘Remarketing Campaign Strategies’. Using retargeting techniques to remarket to your website visitors is definitely one of the best ways to increase your conversion rate and revenue. 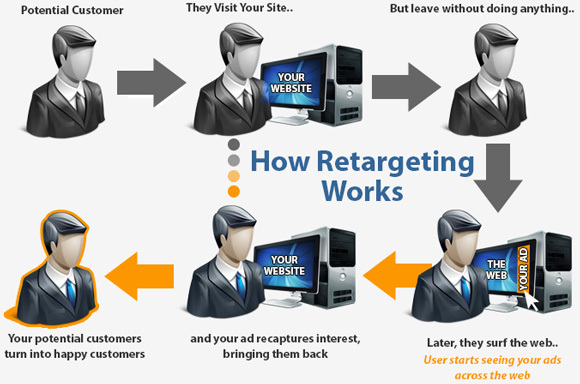 Heard of Retargeting but don’t know what it is? Have you heard of the term Retargeting but aren’t quite sure what it actually means? Retargeting has been around for a while in the online marketing world, but it has gained in popularity over the last few years. There’s a very good reason for that too, retargeting converts very well compared to other kinds of online marketing campaigns. We have been running retargeting campaigns for quite a while now on a few different platforms which I will explain below. The click through rate and conversion rates are much better than normal display ad campaigns as you are specifically targeting people you know have already visited certain pages on your website. Retargeting is usually a term used to describe display banner ads that are served to users who have visited your website. Remarketing is basically the same thing but usually there is email involved – for example the personalised emails Amazon sends you after visiting their website if you already have an Amazon account. Remarketing is also used to target people who have abandoned a shopping cart with items already in it. You’ve most likely had one of these kinds of emails, reminding you to go back and complete your purchase a few days after putting it in your cart and leaving. 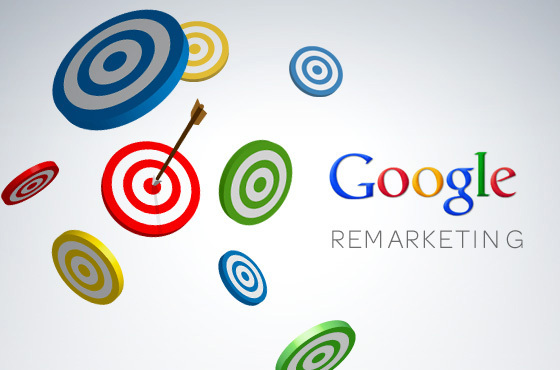 Just to make things confusing, Google refers to its retargeting tools as remarketing tools. Then once users visit your website or certain pages on your site, a tracking cookie is placed on their computer. This tracking cookie allows the retargeting advertising platforms to identify you and then serve you ads based on what websites/web pages you have previously visited. You can get quite granular with retargeting, for example having specific retargeting code on each product page. This allows you to then follow people around the Internet with ads showing the exact product they looked at on your site. You can also target certain sections of your website, or all of your websites traffic – but this way isn’t exactly ideal. Retargeting also allows you to filter out users who have successfully made a purchase on your website, or completed another conversion goal. There are a number of different retargeting platforms available, I’ll explain the ones that we use and have had great results with. The most well known platforms on the market currently are AdRoll and Perfect Audience. You can also retarget with Google AdWords and you can create remarketing audience lists in Google Analytics that then can be used by AdWords campaigns. This is one of the easiest ways to setup retargeting. You just need a Google Analytics account that is linked to your Google AdWords account to be able to take advantage of Analytics Remarketing Audiences. Doing it this way saves you having to add different code to each page or section of your whole site like you would with AdWords remarketing code. You will need to be using the version of the Analytics tracking code that has display network support. Then you can simply create an audience from either all of your traffic, a specific section of your site, specific pages, users who have completed certain goals, or create a custom segment of users who have met a set of criteria that you define. A custom segment could consist of anyone who visited a number of different pages on your website that center around the same topic. There are also many other ways to refine your audiences, you can choose demographics, technologies(device, browser etc), behavior and traffic source. You also have the option to choose how long users are a member of the audience list after they initially visit your site. The easiest way to do retargeting using Google AdWords is to set up display campaigns that target remarketing audiences you have already created in your linked Google Anaytics account. Or you can create remarketing lists in AdWords, doing it this way you then have to add the remarketing tag code to the pages on your site you are wanting to use. Remarketing with Display Network ad campaigns – Shows banner ads to your website visitors as they surf the web. Remarketing lists for search ads – Shows ads to site visitors when they search on Google. Dynamic Remarketing(only works if you have a Google Merchant Center account) – Show dynamically created ads to your sites visitors, generated by your Merchant Center account. Remarketing for mobile apps – Reach users who have visited certain sections of your app. AdRoll is a fantastic retargeting platform, they have their own display network and you can also run news feed, mobile or right hand column ads on Facebook all through the one interface. To get started with AdRoll you just need to sign up for the free trial, then add their tracking code to all pages on your site. Then it starts creating an audience from all of your website visitors. You can create segments of your website traffic of which particular pages people have visited, then target those segments with specific ad campaigns. You can also create URL based conversion points so you can track your success and improve on it. You can also filter out users who have already converted by not targeting users who have visited your order success or other conversion pages. There is a full list of AdRoll’s features here. We have had a lot of success with AdRoll and can highly recommend it as a retargeting platform for your business. 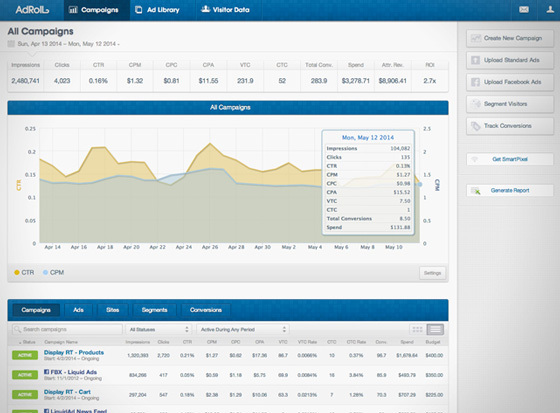 It has an intuitive interface and very useful and easy to understand analytics. Lets face it, retargeting and remarketing convert better than normal non-retargeted advertising campaigns. If you really want to maximise your ROI you should seriously give retargeting a go. We have the technology to be able to remind people who did not buy your product at first to come back to your website and make that purchase. It just makes sense to take advantage of this to market your business. If you are already running online campaigns or not it is well worth your while giving retargeting a try. We can set up and run retargeting campaigns for you, feel free to enquire below. We just came across another great infographic from Quicksprout that is too good not to share. It basically reinforces what I’ve been saying for a long time about Google+ and explains why you should be using Google+ to market your business online. The infographic has some interesting stats about Google+, explains what it can do for you and gives tips on boosting your business on the Google Plus platform. Google+ is a part of the Google network, so as we pointed out in our article What’s All the Fuss About Google+ you really should be using it to your advantage to help send more search traffic to your website. Optimising your Google+ page for the search engines is the first step, more importantly posting and promoting all of your new content on Google+ is a great way to attract more search traffic. Using hashtags wisely will also help get more eyes on your content. We have been noticing posts on our Google+ pages have been getting indexed within a day or so, before the blog post they are linking to even gets indexed. Linking your website and blog posts to your Google+ page allows you to have your profile picture from Google+ show up next to your website in the search results. This is known as Google Authorship. See example below. It’s been proven that search results with Google+ authorship profile pictures have a higher CTR(Click Through Rate) than ones with no images. Your listing will stand out plus the profile picture gives a more personal feel to your website – people like to work with and buy from people. UPDATE: Within a day of publishing this article Google have announced they are removing Authorship photos and Google+ circle counts from the search results, which we think isn’t such good news for marketers. Your name will still appear though and it will still link to your Google+ profile. This update has started rolling out already and has received quite a considerable backlash from webmasters. Apparently the change has been made to make the search results less cluttered. Like we’ve said before you would be silly not to be using Google+ for your online marketing. With it being so tightly woven into the Google network and search results it is probably the most important social media platform to help with your organic SEO(Search Engine Optimisation) efforts. There has been some talk lately of Google+ being phased out but we don’t think this is going to be the case at all. Watch this space! Got a question about Google+ or need help optimising your Google+ page, feel free to enquire below. This excellent infographic from Quicksprout gives some practical tips on how to get your fans and followers to create and share content for you. This will save you money on promoting your brand and will generate extra revenue for your business. User generated content that is endorsing a brand has a massive influence over people, as shown in the infographic 51% of Americans trust user generated content more than actual company website content. Just think about every time you go to research a product online, first thing you would normally do is a Google search for product reviews and look for user testimonials. Another interesting statistic from the infographic is that there are 10 times more views on YouTube for user generated fan videos than for brand owned content. As you can see most user generated content comes about by simply asking your followers questions, engaging them to carry on a conversation and share their opinions. Also asking your fans to re-share your content within your your actual post really does work. Just adding ‘retweet’ to one of your tweets can generate a much larger percentage of retweets. Hopefully you can get some useful ideas from this infographic and learn how to make your fans and followers do some of the work for you. Neil Patel at Quicksprout has just released another fantastic infographic that is just too good not to share. This time it’s about increasing your user engagement rate on your Pinterest page. There sure are more than a few eye opening figures in the infographic. According to his data Pinterest will generate four times more money for you per click than Twitter, and 27% more than Facebook. Clearly Pinterest is a lucrative online marketing channel that should not be ingnored. The tips listed in the infographic will help you to achieve a better engagement rate, see the sections called “Getting More Engagement” and “You Must Engage With Your Audience“. Pinterest isn’t the biggest social media network out there, however the rate it is growing at and the conversion rate its traffic delivers means you really should be taking notice. You can easily create a Pinterest business page for your brand and start using it to regularly promote your content. Use this infographic as a guide and you will be able to get better results from Pinterest. 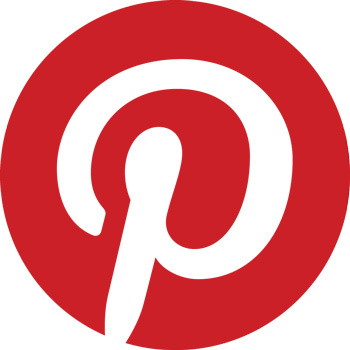 Also make sure you follow our pins on Pinterest. We thought we would share this excellent infographic created by Neil Patel at Quicksprout. It shows you exactly what your can do to increase your user engagement rate on your Facebook business page. It explains simply a few facts about what kind of posts have more chance of getting a higher interaction with your audience. By implementing these suggestions you can make the most out of your Facebook page, without having to spend up big on Facebook ads to promote your brand. 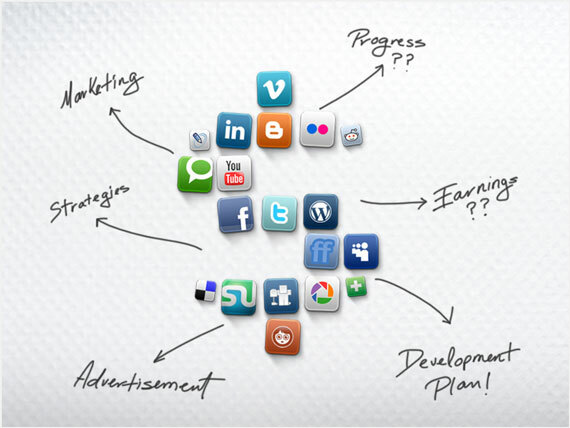 Social media management is a rapidly evolving service being offered through a host of software platforms by various internet marketing developers. HootSuite is one such service that offers a dashboard that allows users to manage, measure, and track activity over a broad range of social media platforms. Such an ability would be useful to small businesses just beginning to set up their online presence, as well for any ongoing firm’s social media footprint, especially if they are communicated through multiple social media spaces. Firms as large as Seagate, Pepsico, Sony Music, CBS Interactive, and the World Wildlife Fund use HootSuite, but the software would be equally as useful to small businesses who prefer to manage their Facebook, Twitter, LinkedIn, and Google Plus accounts all from one locale. HootSuite features management tools for all of the major social media platforms: Facebook, Twitter, LinkedIn, Google Plus, Foursquare, WordPress, and Mixi. It also includes an app directory that allows users to add more social media platforms to their dashboard like YouTube, Tumblr, MailChimp, and Flickr. Once these sites are added to a HootSuite dashboard, users can obtain a bird’s eye view of their overall social media footprint – an ideal situation if you are trying to manage your company’s online marketing strategy. From the dashboard, users can obtain Facebook Insights, Google Analytics, Twitter profile stats, Ow.ly click statuses, and an array of other analytic reports. Audiences can be categorized into various teams or communities, so one type of message can go directly to your Twitter followers, while another message can go to those who might be reading on Facebook. The dashboard itself also has controls, so that various levels of your marketing team can share, post, or create new content, based on the level of access set by an administrator. New communications can be created in message drafts, scheduled messages, and users can even upload .csv file content in bulk. The dashboard can even monitor RSS feeds, as well as any hashtags or “@”tags used with your company or product name. This feature allows you to see who is subscribing to you, and who is talking about your product or service. 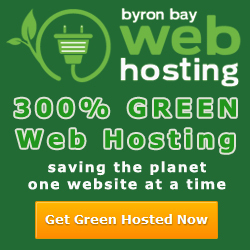 The entire platform is security enhanced and requires logins for each device. Additionally, logins are required if you choose to allow certain types of access to your marketing team. These permissions allow you to not only protect your own information, but the information of target audiences to which you wish to send communications. HootSuite is available as an app for iPhone, Android, and iPad devices. Users interested in trying out what HootSuite has to offer can choose between three versions: Basic, Pro, and Enterprise. Those who choose Enterprise will receive enhanced technical support, professional services, an account rep, compliance integration, geo-targeting, and custom invoicing. Additional resources are available for users to peruse as well, such as HootSuite University, a lecture and training series that helps those new to Internet marketing make the most out of their own social media strategy in tandem with HootSuite products. HootSuite also offers HootSuite guides, info papers, whitepapers, tips and tricks, video libraries, and webinars. Perfect for those just starting out or companies with a well-defined track record for online marketing campaigns. HootSuite offers something for everybody at almost every experience level, from beginners to mid-tier companies to Fortune 500s in need of simplified analytics and bird’s eye view management of its online presence. Hootsuite Conversations allow your team to communicate internally within the Hootsuite interface. Hootsuite will streamline your social media management for your brand being able to access and schedule posts for all of your accounts in the one place. No more multiple account logins, everything is all in the one easy to use inerafce. 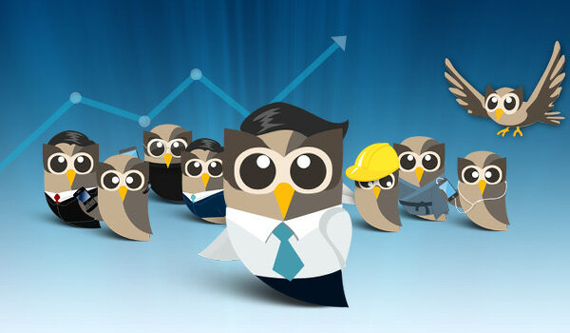 Make your social media management faster and smarter with Hootsuite. It connects to over 35 different social media platforms and allows you to make custom pre-written responses to save you time doing repetitive tasks. 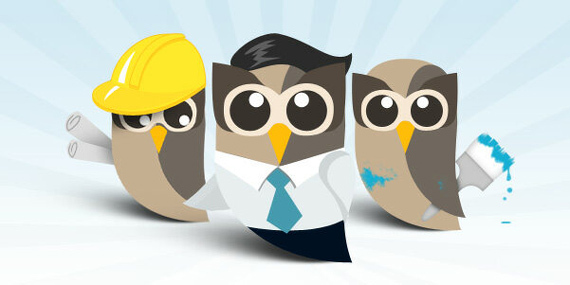 Hootsuite is suitable for large, medium or small organisations – even for sole traders. 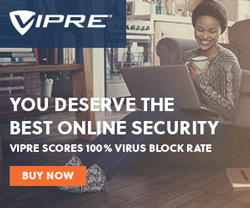 Get a Free Trial here now. Hootsuite is a rock solid and mature tool that allows you to win at social media with ease. It is definitely suited for use by a brand or business that has multiple social media channels and needs a way to streamline the management of them.